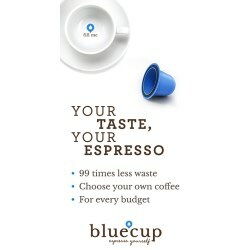 Nespresso's pre-filled cups, according to Bluecup, had issues regarding freedom of choice, the environment and the price of each cup of coffee. 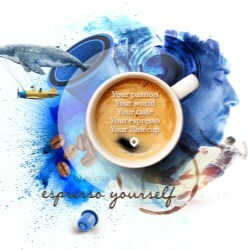 Under the group's own initiative, the coffee-lovers with their sense of flavour and taste, and passion to live life to the fullest, took the challenge to create a new coffee capsule that was better for the environment and could be made using their own ground coffee beans or ready-ground coffee. 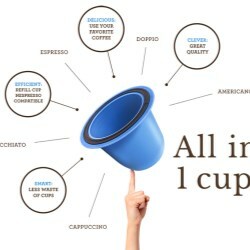 This desire led to an innovative search that ultimately led to the development of the patented "Bluecup", which will undoubtedly revolutionize the creation of the perfect espresso! The challenge for the development team at Aarts Plastics was to develop the system required for the preparation of the capsule —the cup creator— and also make it machine wash resistant. On top of that the capsules should be reusable and machine wash resistant too. 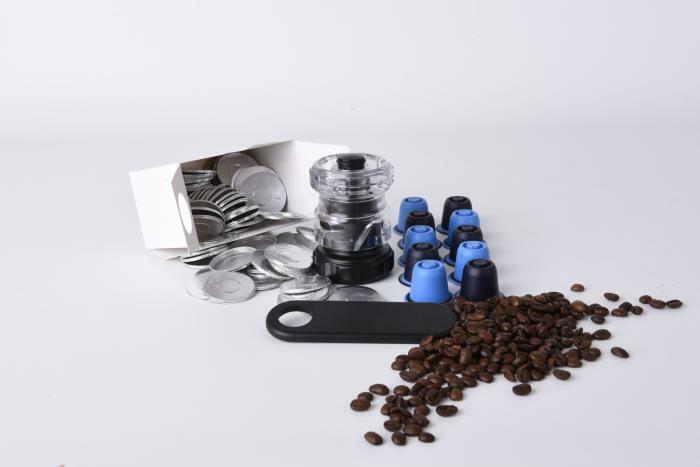 Aarts Plastic's resulting device comprises thick wall parts that can be screwed into one another, and the sealing of the coffee capsule with an aluminium lid. 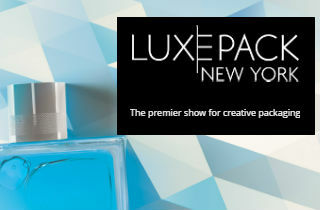 Through a spring system the capsule jumps out of cup creator and into the palm of the hand, all ready to use. 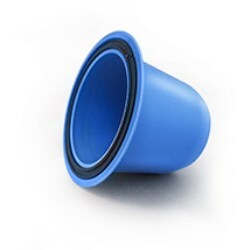 The capsule has been produced on a bi-injection moulding machine providing a rubber gasket for perfect closing in the coffee machine, and can be reused up to 100 times. 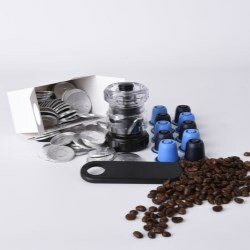 In addition, filling the cup has never been so easy - a special spoon has been developed to hold the capsule, making it simple to spoon any chosen ground coffee into the empty capsule.